check_klms.sh check_klms.sh bash shell script. Sudo permissions should be setup for the klms-control binary, by default installed in /opt/kaspersky/klms/bin/klms-control (if you have installed it in another PATH, only a variable on the script should be changed == KLMS_BIN ). 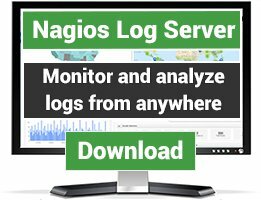 Bash shell Script for Nagios & NagiosXI, checks if the KLMS application is running OK, has a connection to the LDAP server and has it's Databases up to date. It's written as simple as posible to maintain compatibilty between different Linux OS. Released under GPLv3. Author: Carlos Ijalba - 2018. OK: All KLMS Databases are Up to Date, KLMS running, LDAP connected. WARNING: Database Outdated: [ AntiVirus | AntiSPAM | AntiPhishing ]. CRITICAL: Database Obsolete: [ AntiVirus | AntiSPAM | AntiPhishing ], KLMS not running, LDAP not connected. Error: KLMS couldn't be contacted, or not installed (check your PATH or install KLMS software). If invoked without parameters, presents a usage screen. This script is designed to consume as little CPU time as possible and to be used in different OS types. Released under GPLv3, feel free to use and modify, please give credits and references when appropriate. Author: Carlos Ijalba - 2018. 3 - Error: KLMS couldn't be contacted, or not installed. 2 - CRITICAL: Database Obsolete: [ AntiVirus | AntiSPAM | AntiPhishing ]. 1 - WARNING: Database Outdated: [ AntiVirus | AntiSPAM | AntiPhishing ], KLMS not running, LDAP not connected. 0 - OK: All KLMS Databases are Up to Date, KLMS running, LDAP connected. 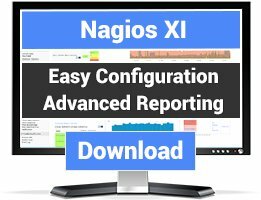 It also reports the original script's name and version to nagios, so check version control can be used within nagios. nagios@pmimta:/usr/local/nagios/etc$ sudo cp -p nrpe.cfg nrpe.cfg.20180808	<-- always make a backup first! Aug 08 12:11:41 pmimta nrpe: Server listening on 0.0.0.0 port 5666. Aug 08 12:11:41 pmimta nrpe: Server listening on :: port 5666. Aug 08 12:11:41 pmimta nrpe: Warning: Daemon is configured to accept command arguments from clients! OK - KLMS AV-DB up to date. OK - KLMS SPAM-DB up to date. OK - KLMS Anti-Phishing-DB up to date. OK - KLMS LDAP Connection is OK. WARNING - KLMS AV-DB Outdated. WARNING - KLMS SPAM-DB Outdated. WARNING - KLMS Anti-Phishing-DB Outdated. CRITICAL - KLMS NOT Running. CRITICAL - KLMS AV-DB Obsolete. CRITICAL - KLMS SPAM-DB Obsolete. CRITICAL - KLMS Anti-Phishing-DB Obsolete. 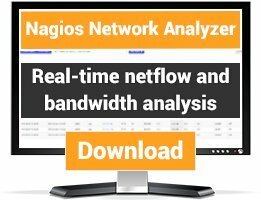 CRITICAL - KLMS LDAP Connection Failed. ERROR - KLMS binaries not found in this machine (review PATH). After the Nagios Status reported, the script shows the script's name and version, very useful to track nagios services versions and scripts invoked by a service/command.